Border Patrol sent an official warning to one of its agents, saying he must “immediately desist” from communicating with the media with information that is “Law Enforcement sensitive,” according to the document obtained by National Review. 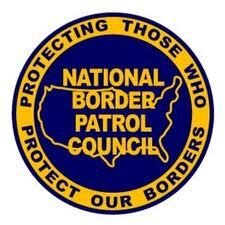 The letter from Kathleen Scudder, assistant chief patrol agent of the San Diego Sector, was sent to agent Ron Zermeno, health and safety director of National Border Patrol Council Local 1613. Zermemo said he believes the letter was retaliation for blowing the whistle on public health risks involving illegal immigrants. Zermemo recently notified a superior that two agents contracted scabies while processing immigrants. Posted: 7/9/14 at 8:58 AM under News Story.